Go beyond data and transform your business with powerful insights. Do more. Do better. Do faster. 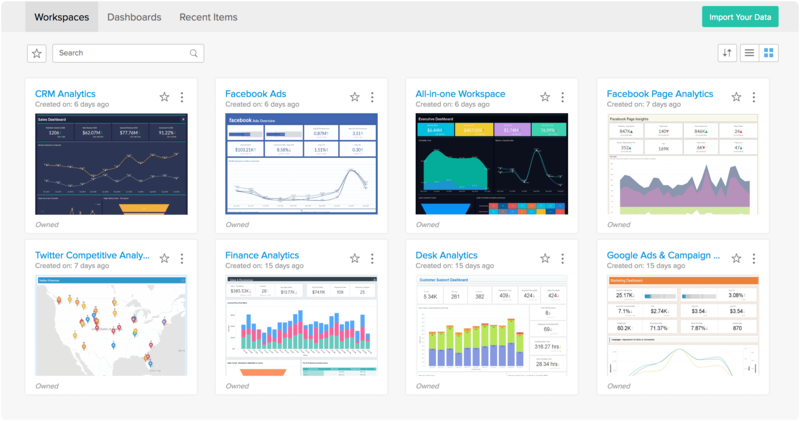 Zoho Analytics (previously Zoho Reports) comes with a completely revamped user interface. 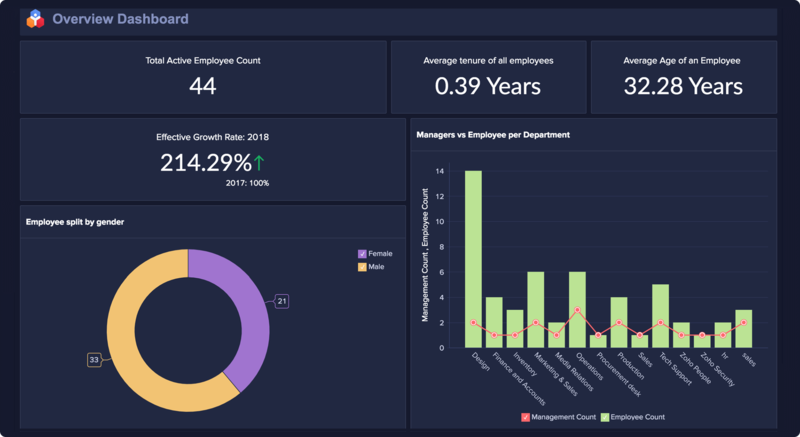 Navigate with ease and access a whole new level of intuitive analytical experience, aided by exciting features that will redefine the way you draw business insights. We've also made changes under the hood to make Zoho Analytics faster than ever before. 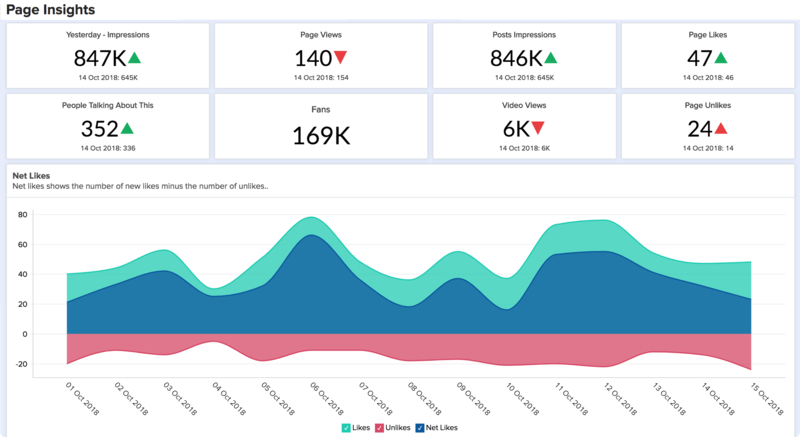 Dashboards have gotten a major facelift in Zoho Analytics 4.0 — We've added customization features that will let you design cool dashboards to your heart's content. Six dark themes along with a whole range of customization options to increase visual appeal. 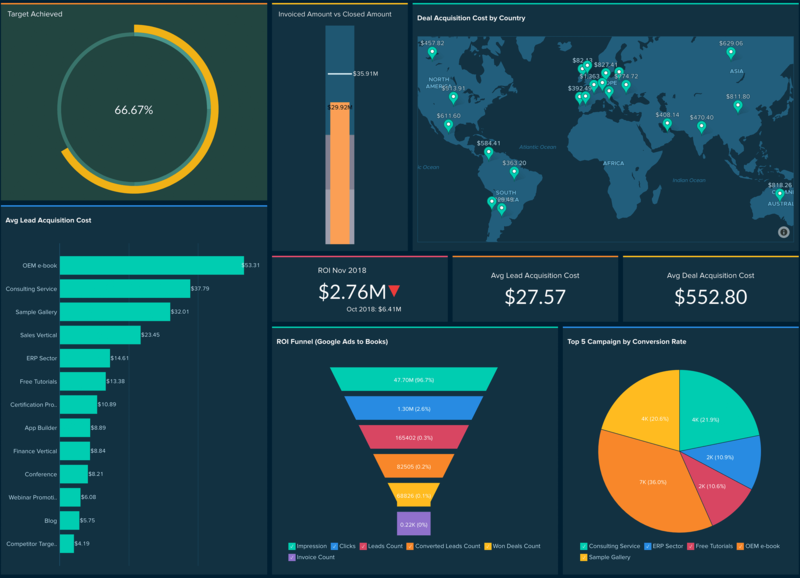 Create compact dashboards with multi-column layouts that help you effortlessly track your key metrics. 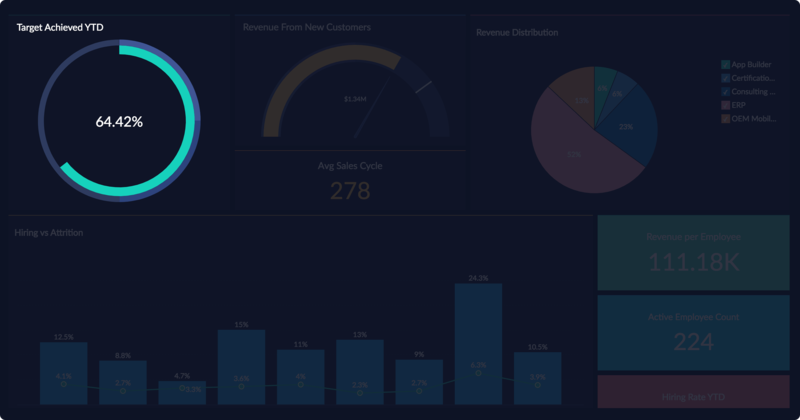 What's analytics without cool visualizations? We've added new charts, widgets, palettes, interactions and lots more, so you can tell impressive stories with your data. 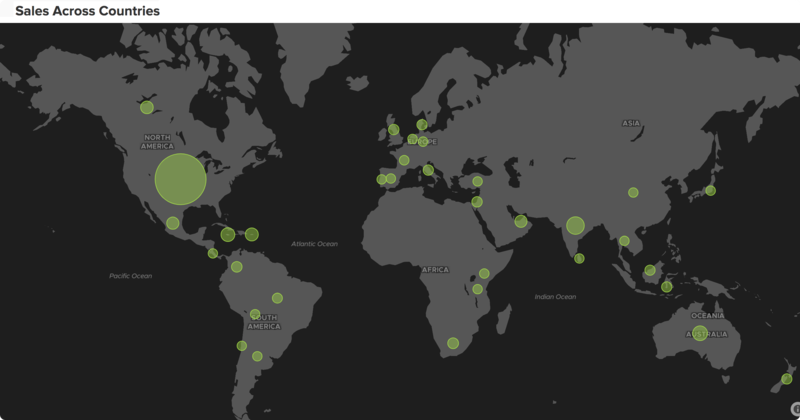 Across countries, oceans, and cities, put your geo-data to use and visually analyze them on an interactive map chart. 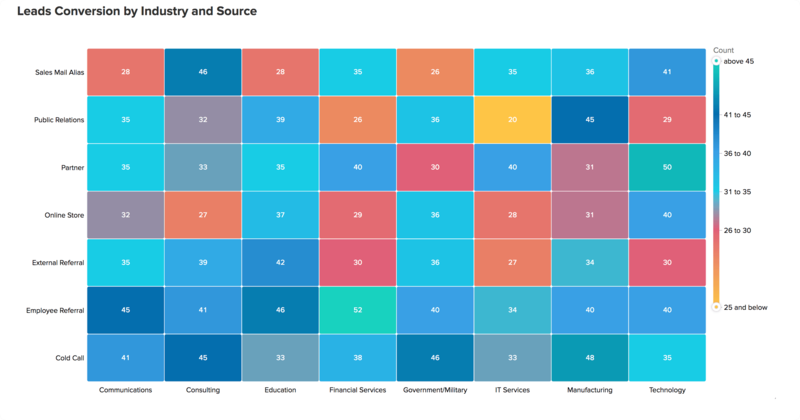 Get immediate insights from your complex business data by plotting them on a colorful heat map. 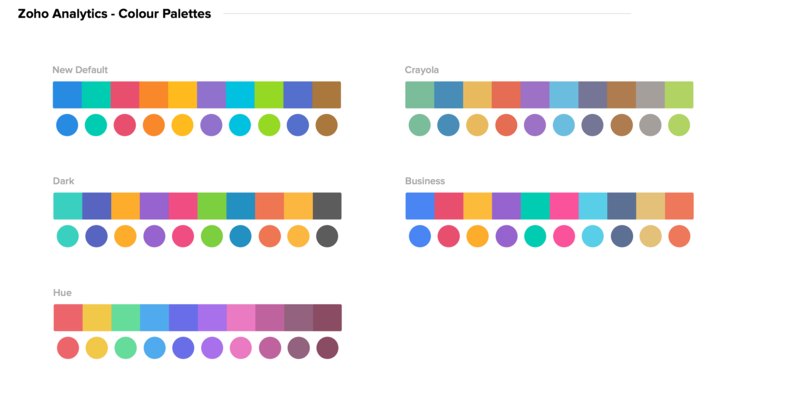 Put our updated color palettes to use and beautify your data. Always keep a track of your progress and goals with the all new full dial chart. 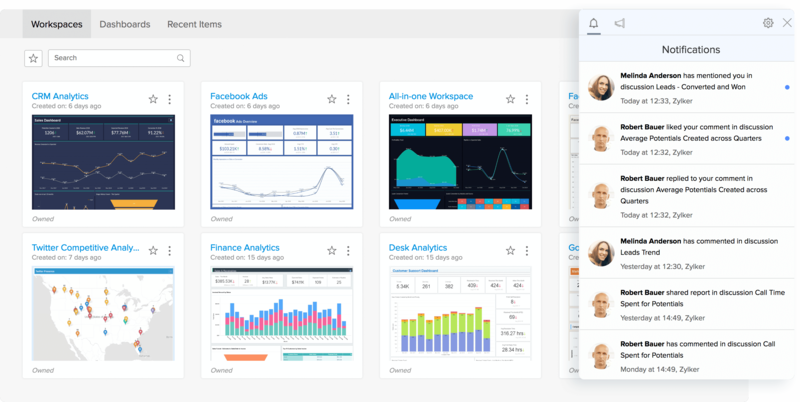 Zia is our smart reporting assistant powered by natural language processing (NLP) and machine learning. All you need to do is... ask! Zia will do the rest. Catch them before it's too late - contextual data alerts lets you know of any anomaly or achievement of your key business metrics as it happens. Configure alerts in a snap, then sit back and relax, knowing you'll get instantly notified. Collaborative analytics has taken a new form. No more paperwork or lost email threads. 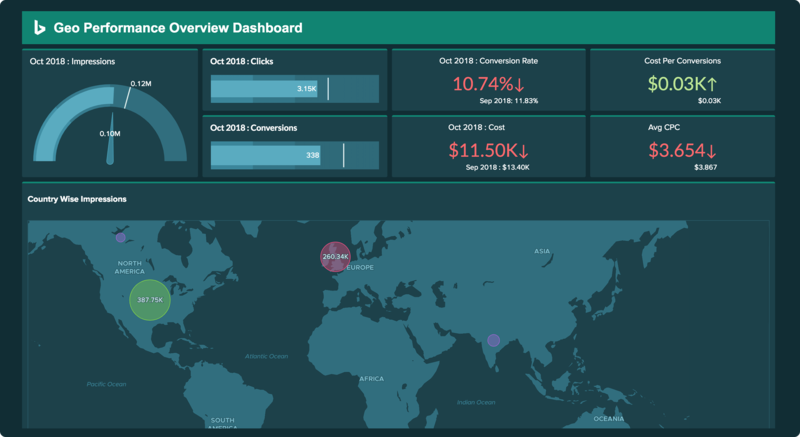 Start commenting in real time and make data driven decisions together. Contextually collaborate on any specific view with the various commenting options. Forget having to search and sort through piles of emails. Preserve comment history and view them anytime, all at one place. Notify and involve your colleagues in the discussion by simply mentioning their name. 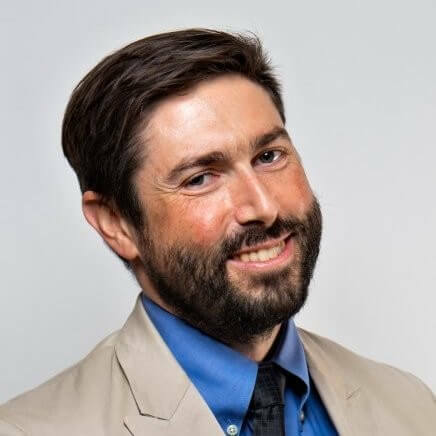 We're rolling out an array of advanced analytics connectors, ranging from social media apps, to online advertisement platforms and more. 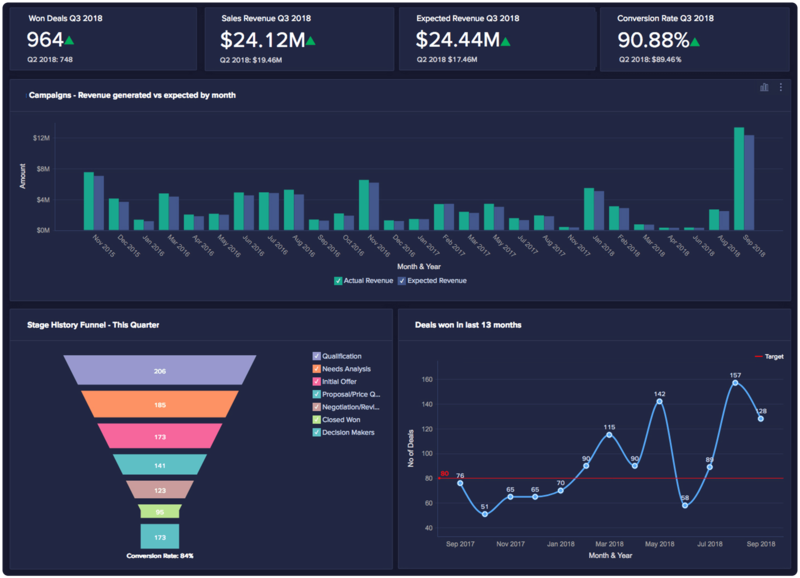 Every connector comes with pre-built domain specific reports and dashboards to get you started right away! Understand how your social media channels in Twitter and Facebook are performing using deep analytics. Get insights into your audience and engage them the best. Analyze your ad campaigns in Bing and Facebooks Ads. Track key metrics and optimize your marketing ROI. Analyze and derive key actionable insights about human resources of an organization managed with Zoho People. Measure and maximize your organization potenial with analytics.